I’m so excited for today’s review. 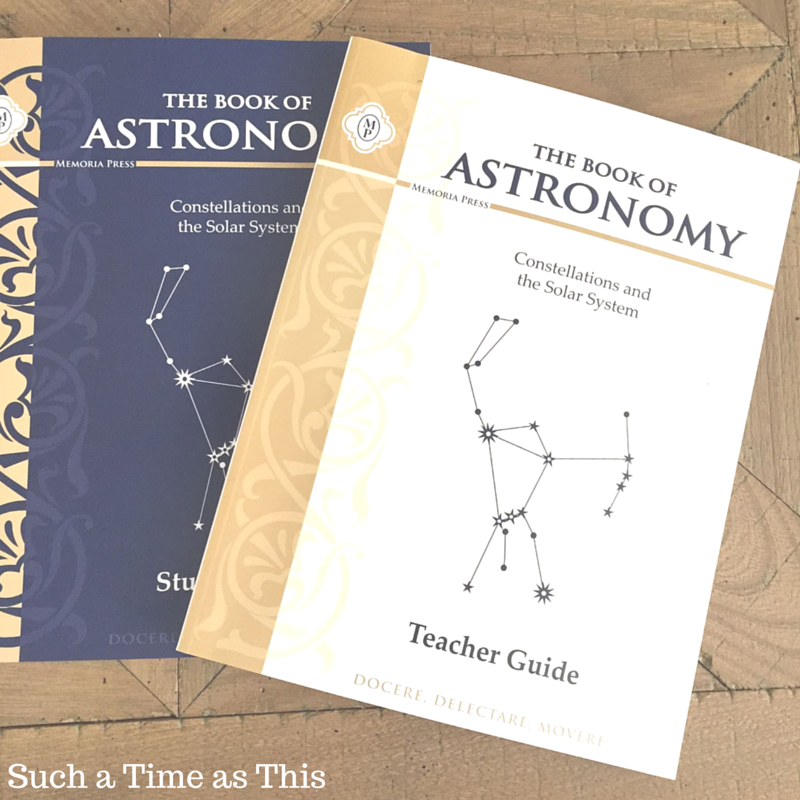 Memoria Press is one of my most favorite vendors so I was thrilled that my son and daughter wanted to use The Book of Astronomy Set. I received both a student book and teacher guide for the Book of Astronomy, which is geared for third grade on up. I ended up purchasing an extra student book so that both my son and daughter could participate in this study. The curriculum is broken up into 4 units. Each unit has multiple lessons and then a final exercise at the end of the Unit. This is an in-depth study of the constellations, the names of the stars, with the information given on the magnitude of the stars, when certain stars and constellations are visible in the night sky, the zodiac, and the solar system. This program includes some memorization of the names of stars and constellations. There is plenty of practice involving drawing the many constellations and labeling them with the correct stars. 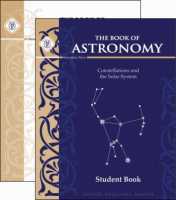 The Book of Astronomy starts off by asking the students to begin to memorize the 15 brightest stars. They break it down into 5 per week for the first three weeks of the course. As we don’t memorize a lot in our homeschool, I didn’t know what to expect. Although I was unsure how they would do, my kids have been enjoying this exercise. I noticed a few times that among the stories of the constellations there is mention of the Ancient Greek mythology which can be found in another part of the Memoria Press curriculum, D’Aulaires’ Greek Myths. We did not use this curriculum and I felt that this astronomy book stands on its own – even if your child has no prior knowledge of the myths themselves. My kids only know a little about ancient history and the belief in many gods but they are unfamiliar with the many stories, however, I felt they were able to grasp what was being taught in the units of this book. I think if you did choose to use it alongside this curriculum, it could only strengthen your children’s understanding of the subject matter. I found this Memoria Press Astronomy curriculum to be easy to integrate into our homeschool. It made for very pleasant afternoons. I love the curriculum that isn’t stressful, and I can honestly say that this did not cause issues as we did it. 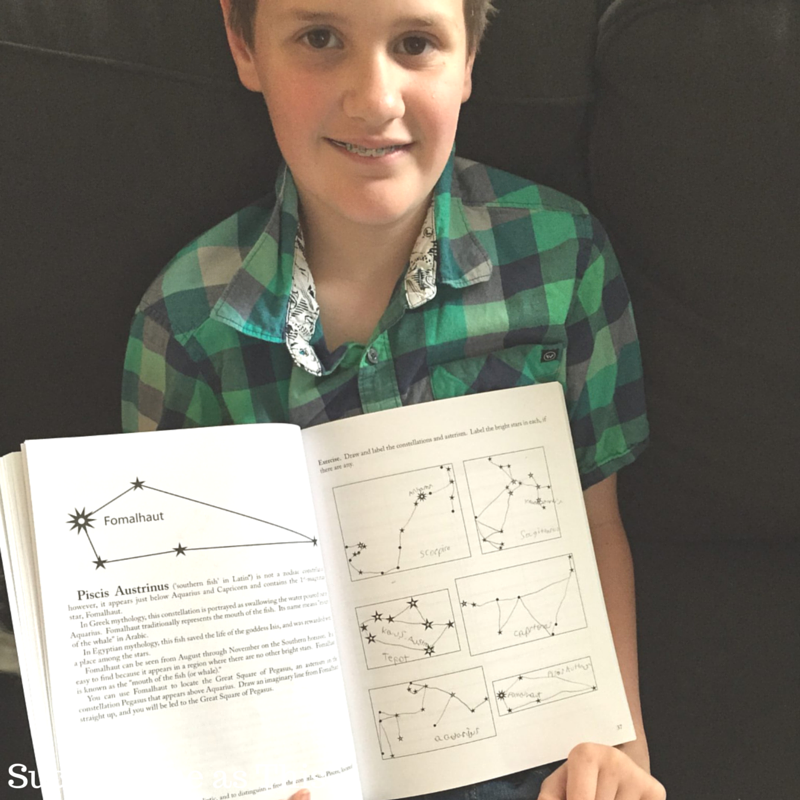 I used the teacher guide extensively and my kids followed along in their own student books. If you do use this curriculum, I definitely suggest getting the teacher manual. It is very helpful and is a replica of the student books but it also has all the answers printed out in it. I’m able to read from it to the kids and then assign them their work (which is always on that page or the next). My children are entering 4th and 6th grade and both have thoroughly enjoyed this curriculum. My science-loving son has been very interested in this as he loves astronomy in general (although we’ve only touched on the constellations a very small amount before using this curriculum). My daughter also has enjoyed this text because it is very straightforward, easy to understand with very clear expectations. I like how each lesson builds on the last and none of it feels too overwhelming even though it is pushing my kids outside what they have learned about astronomy in the past. 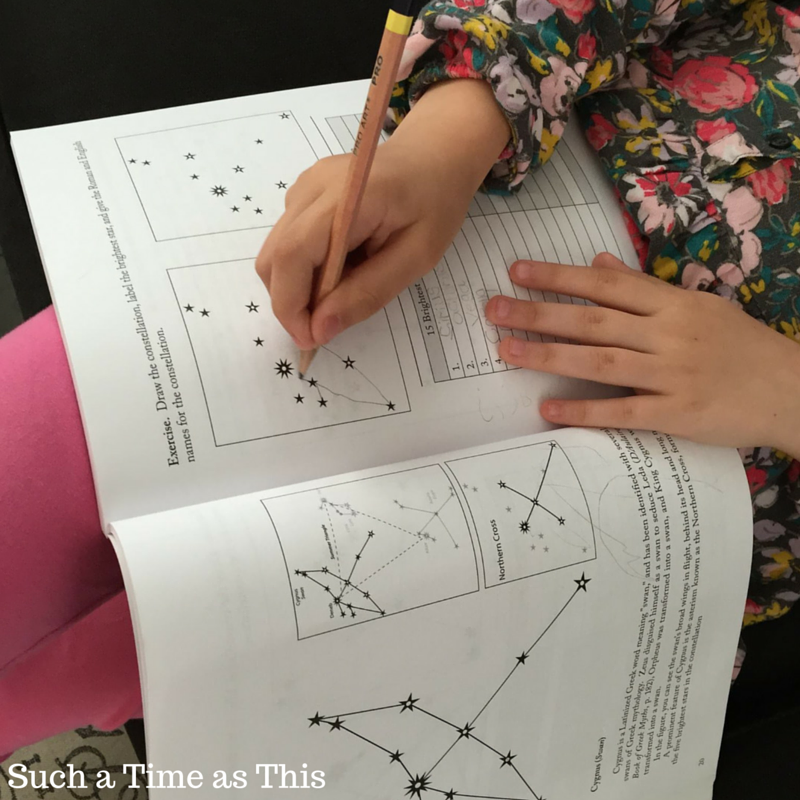 I definitely recommend this curriculum for anyone wanting to teach astronomy to their kids!